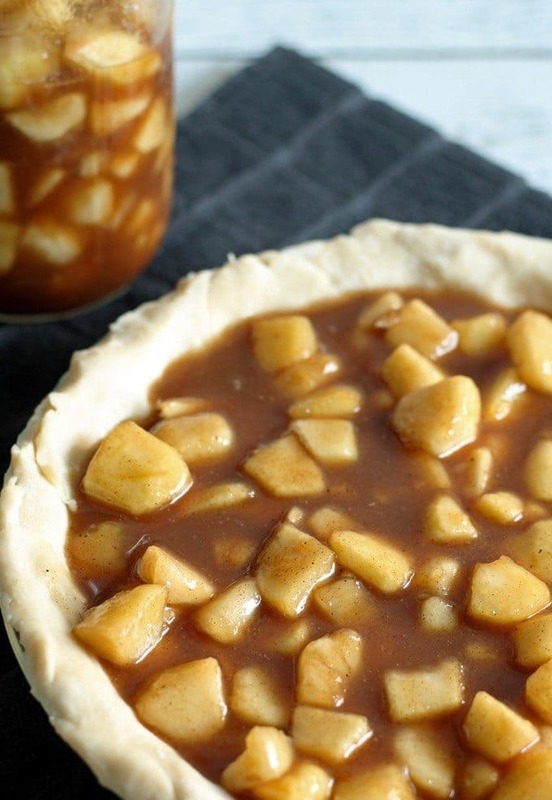 Make homemade apple pie filling with all of autumn’s bounty of apples! 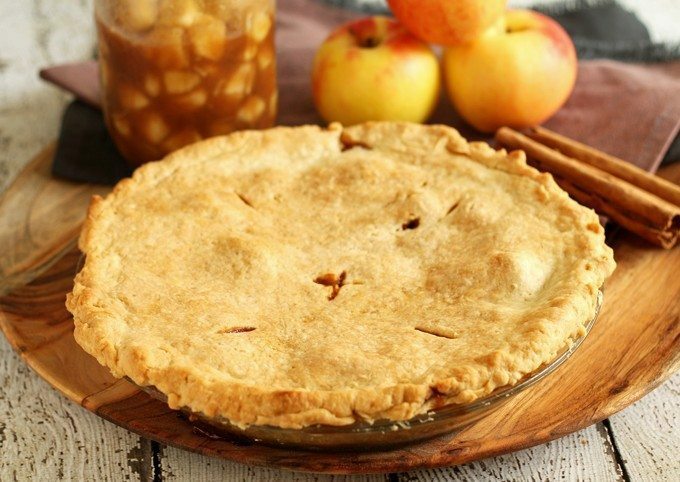 Fill your home with the smells of apple pie all year long! Labor Day Weekend is over and that means fall is finally here! I went a little berserk out of excitement this weekend – fall is my favorite time of year, hands down. I spent all weekend testing apple recipes and I can’t wait to share them with you. I got so excited, actually, that I managed to injure myself and had to go to an immediate care center. Fun stuff. This post may end up being a little shorter than my posts normally are because I’m having so much trouble typing. Note to self and anyone else making caramel from scratch: do not let hot spoons and melted sugar stick to your finger(s). It results in a sticky and unpleasant situation. Burns aside, the fall flavors and smells of apple pie filled our home this weekend and that was very pleasing to my senses. If you like the smell of apple pie (who doesn’t??) this recipe is for you. 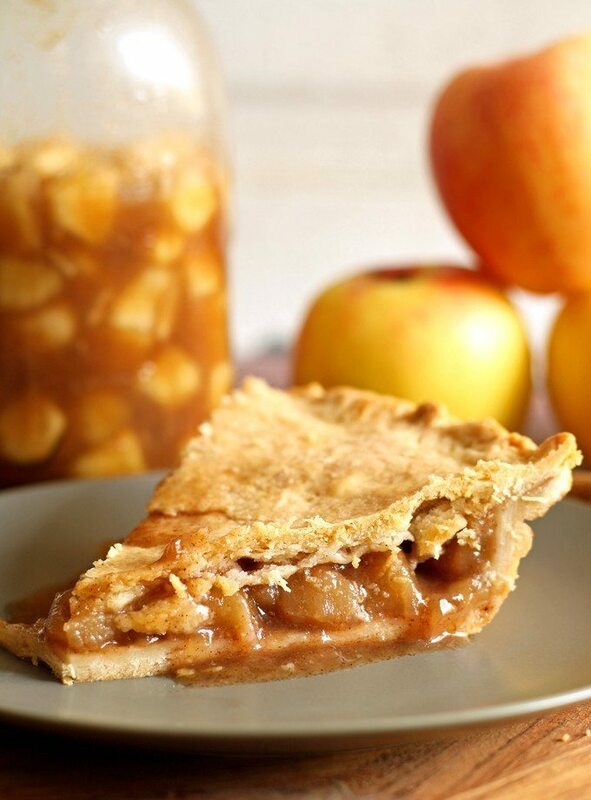 If you make a big batch of homemade apple pie filling, you can make homemade apple pies all season… all year even. One of the reasons to make apple pie filling is you can store it in the freezer for months and make apple pie whenever you want to. 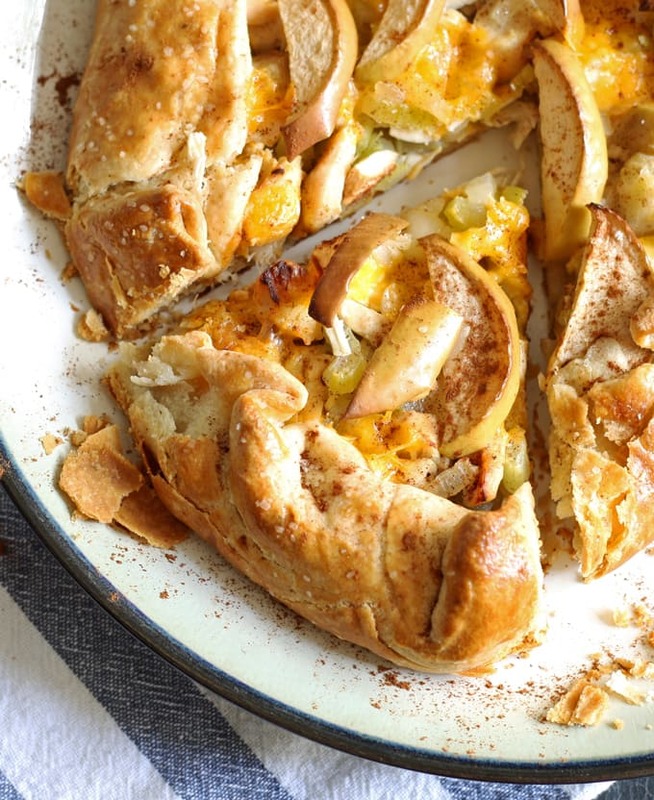 It’s also a great way to use up all of fall’s bounty of apples, especially if you went apple picking and came home with bushels-full. Another great reason to make apple pie filling from scratch – using it means you won’t take as long for your pies to bake. 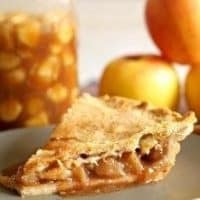 Take your favorite crust recipe, or even store-bought crust, and because the apples have already been cooked, you can cook the pie at a higher temperature for a shorter time frame. Sounds to me like you will have many homemade apple pies in your future. 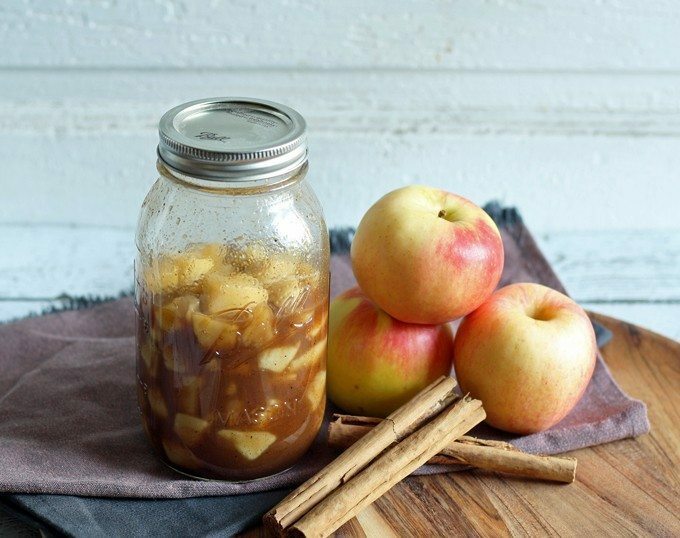 Make homemade apple pie filling with all of autumn's bounty of apples! 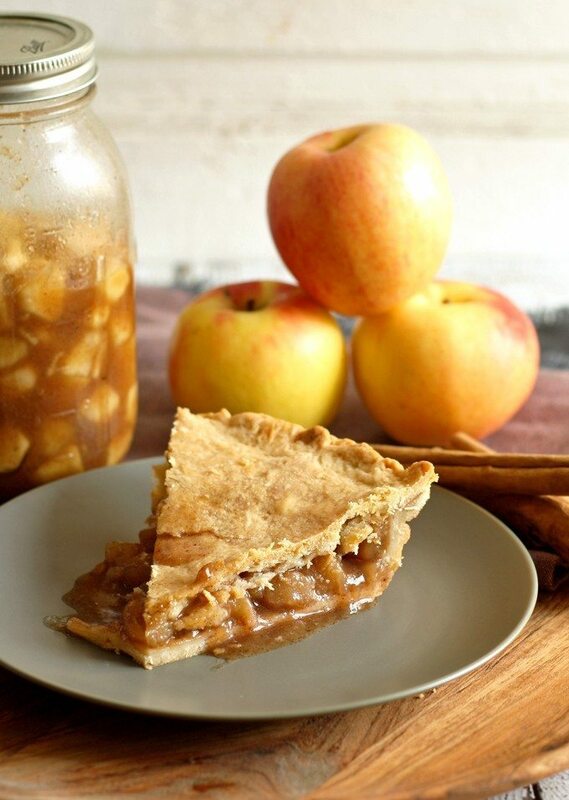 Fill your home with the smells of apple pie all year long! 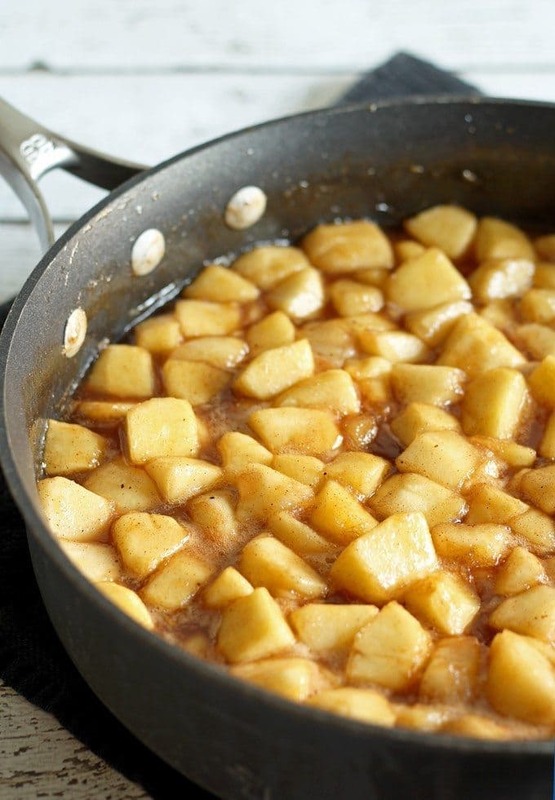 Toss the apples in the lemon juice and place in a large pan. Add the remaining ingredients. Stir well and heat over medium-high heat. Bring to a boil, then reduce heat and simmer for 30 minutes, stirring occasionally. Turn heat off and let cool before storing. Makes enough apple pie filling for 2 9-inch pies. Apple peeler and corer – get to the core of it! Make life easier – apple and pear slicer. 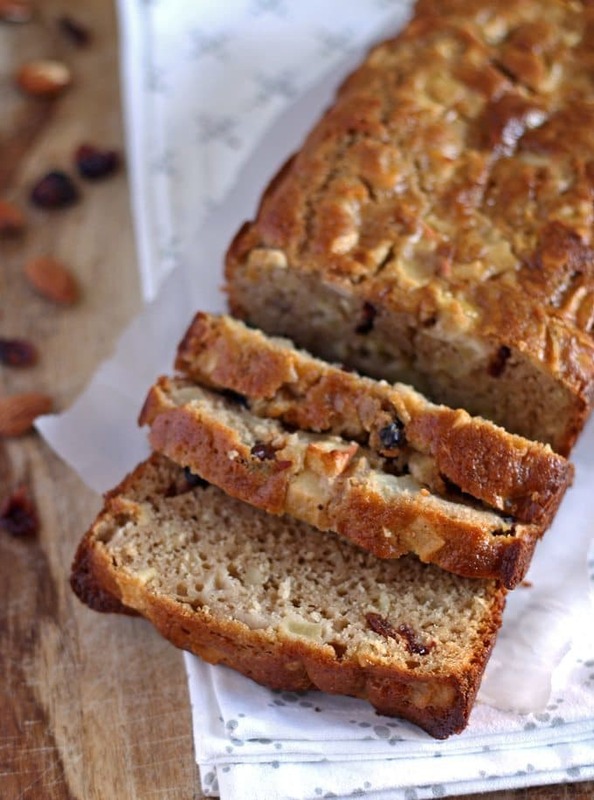 or this delicious apple almond cranberry quick bread! Oh YUM! I could eat a large bowl of this! YUM! I’m good now – got the all clear from the doctor yesterday! So back to baking for me! Oh and your pie looks AMAZING!